In August 2012, around the same time that Mars Science Laboratory Curiosity landed in Gale Crater, NASA announced a new mission to Mars. This new mission is called InSight (Interior Exploration using Seismic Investigations, Geodesy and Heat Transport) and has a planned launch date of March 2016. InSight will place a single lander on Mars in September 2016 with the capability of studying deep below the surface of the planet for a two year mission. The lander will measure the seismology and internal temperature of planet Mars at varying levels. It will be able to determine whether Mars has a solid or liquid core and ascertain why Mars does not have tectonic plates similar to Earth. Understanding these facets of Mars as compared to Earth will provide insight into the formation of the other rocky planets in our inner solar system, including Earth, Venus, and Mercury. An artist's rendition of proposed InSight Lander. InSight will be an international collaboration, with one of its four instruments coming from France's space agency, Centre National d'Etudes Spatiales (CNES) and another from the German Aerospace Center. CNES is heading up an international effort to build an instrument that can measure seismic waves in the planets interior. The German Aerospace Center is building a subsurface probe that will measure the flow of heat from the interior of Mars. Meanwhile, America's Jet Propulsion Laboratory (JPL).is contributing an onboard geodetic instrument that will determine Mars' rotation axis. JPL is also providing two cameras that will be used to deploy and assess the state of the lander's instruments while on the surface of Mars. There are currently many candidate landing sites for the InSight lander. 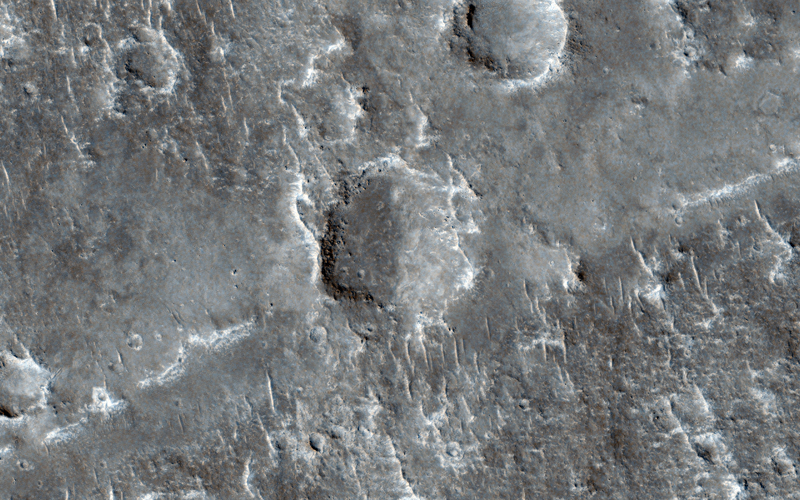 Below is one of those locations, lying to the west of Aeolis Planum, as imaged by HiRISE. The landing site for the InSight lander must contain large flat areas to ensure an unobstructed landing. InSight will be a relatively cheap mission, as it is capped at $425 Million in 2010 dollars (allowing for inflation). This does not include the launch vehicle or associated services (fueling, mission control, ground-based monitoring, etc.) This is a small price to pay for a better understanding about the evolution of rocky interior planets. Understanding how they develop will enable scientists to better predict the nature of planets in alien star systems, thus enabling us to narrow our search for habitable planets! Additonally, this mission is sure to provide InSight into our own planet's development and how distance from the host star affects planetary composition.